A nutritional powerhouse, Barley Grass (Hordeum vulgare) is one of the few forms of vegetation on earth that can provide you sole nutritional support from cradle to grave. 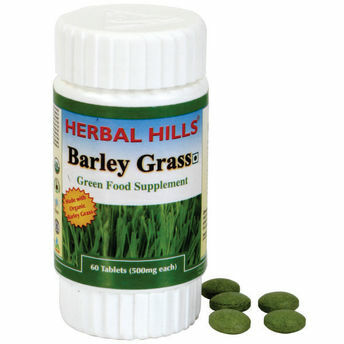 Barley Grass is a holistic food concentrate that helps to regulate the acid-alkaline base of our body. This helps to maintain healthy function of joints, muscles, urinary & digestive system. Explore the entire range of Minerals available on Nykaa. Shop more Herbal Hills products here.You can browse through the complete world of Herbal Hills Minerals .